Cook with Claire: Dreaming of Madrid and Pan Con Tomate! Dreaming of Madrid and Pan Con Tomate! 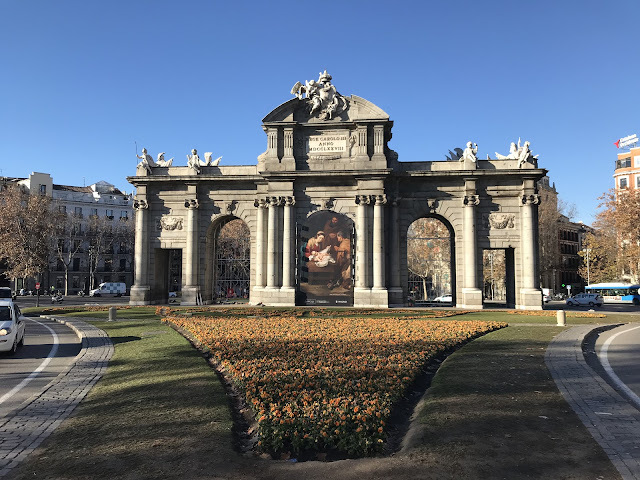 The Puerta de Alcalá or Alcala Gate is one of Madrid's best known landmarks. I LOVE MADRID! I fell in love with this beautiful city, their beautiful people, and their delicious food. My daughters and I arrived the day after Christmas - we were there for 8 days and it was magical. This picture is the famous Alcala Gate and was just steps away from our hotel. The very beautiful nativity scene displayed in the center of the gate is just one of (I'm guessing) thousands that are displayed all over the city during Christmas. Nativity scenes, called Belén in Madrid, are everywhere! I loved seeing all the Belén, big and small. 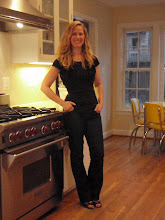 I viewed them in not only churches, but museums, hotels, restaurants, and clothing stores. It was very special and one of my favorite memories of our visit. We also had so much delicious food. 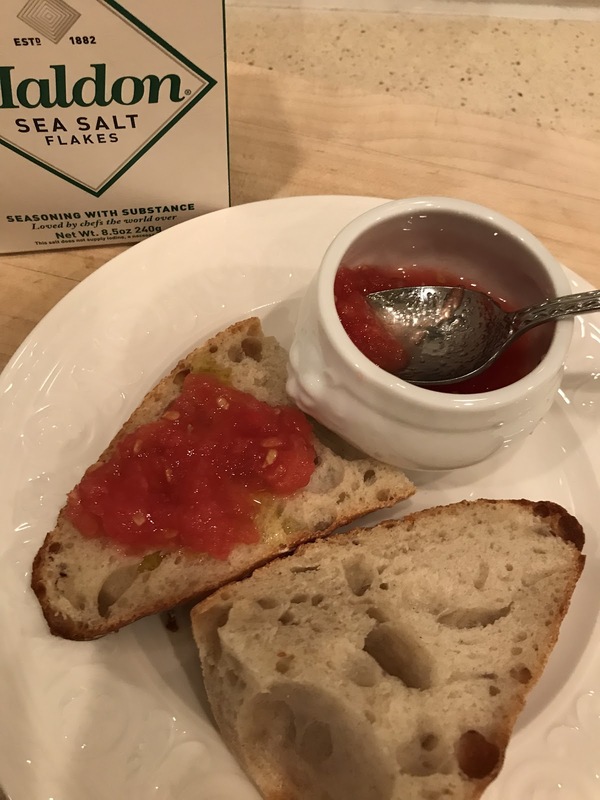 Marvelous crusty bread was an essential part of every meal. 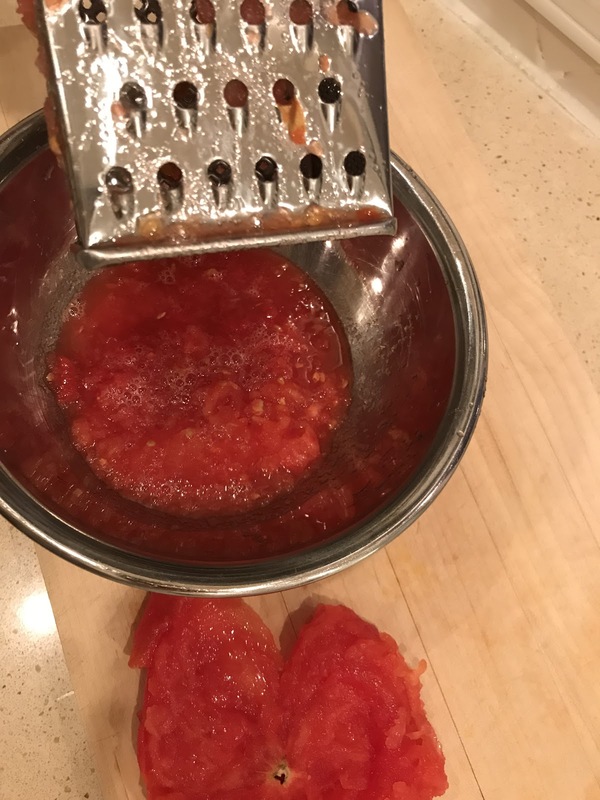 Many times at breakfast and at lunch people ate Pan Con Tomate. 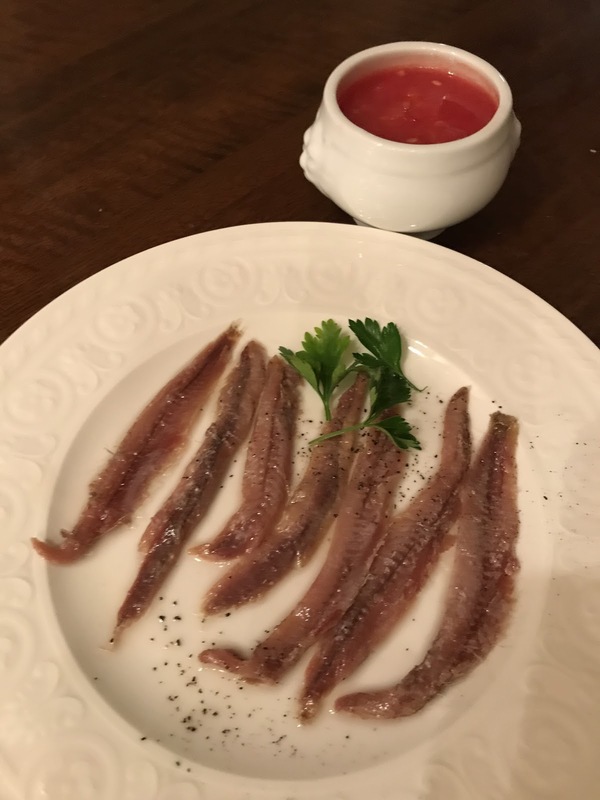 It is one of those recipes that is essential to the Madrid palate (as are olives and anchovies). 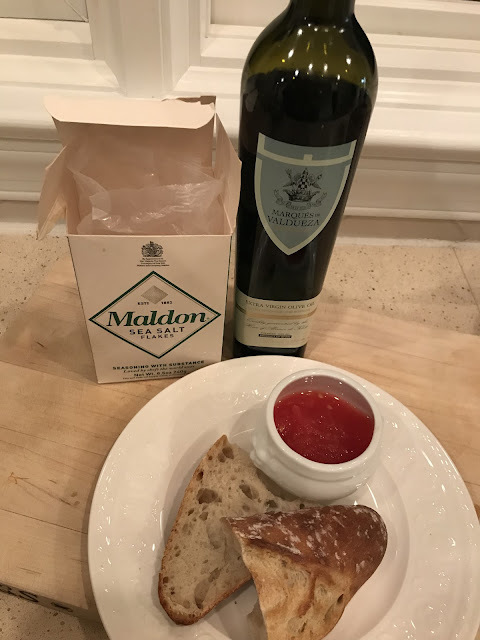 Pan Con Tomate was available everywhere even if it wasn't listed on the menu....or at least it seemed like that was the case! I need to tell you that the olives and olive oil were amazing. When I got home I purchased some Spanish Olive Oil right away and have been enjoying it just as much as those I tasted in Madrid. 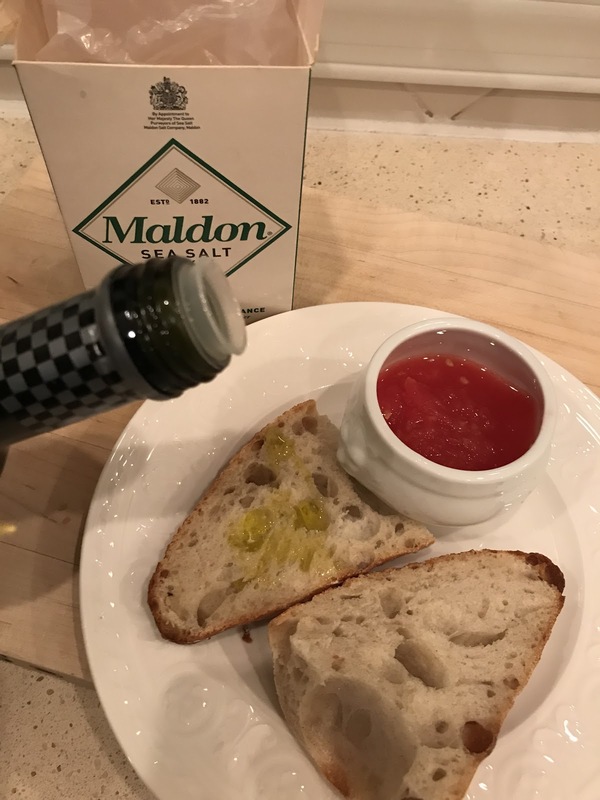 Italian Olive Oil has always been my favorite but I am not so sure about that anymore. There is something extra-special about Spanish olive oil. :) I think to make this recipe you can use any olive oil but Spanish Olive will taste the best. 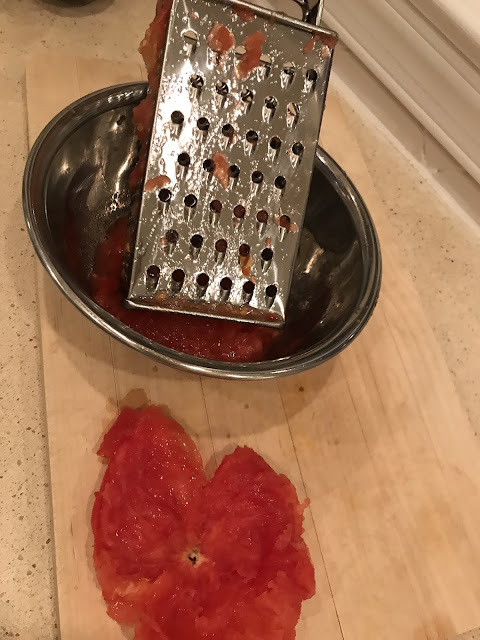 Grate one or more ripe tomatoes on big holes of box grater. 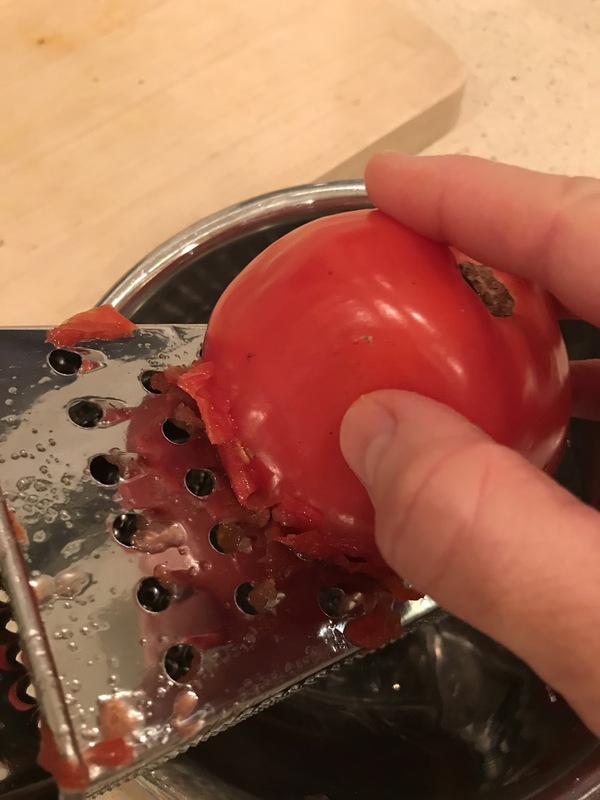 Carefully grate a large, ripe tomato on the large holes of a box grater. See how the peel just pulls away as you grate. Here is a little better view of the peel - all the pulp is captured in the bowl.